We’ve all heard the saying, “don’t judge a book by its cover”, but perhaps it is OK to judge an Apple Watch Strap by its packaging. Especially if it’s the Nomad Shell Cordovan Strap for Apple Watch. 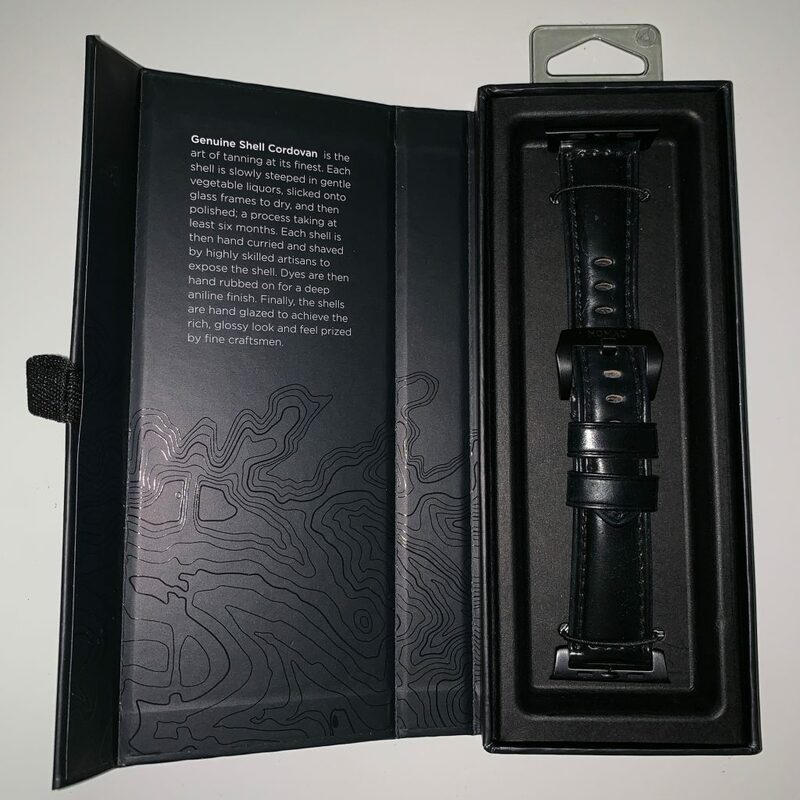 Even before we opened the box, we had a feeling the Nomad Shell Cordovan Strap for Apple Watch was something special. 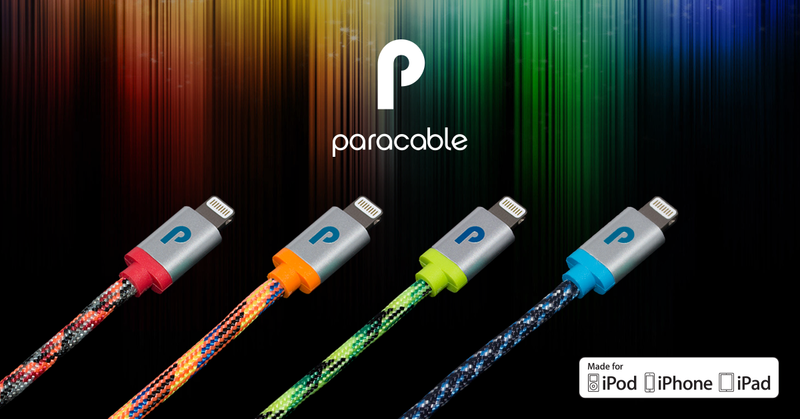 Back in August, we reviewed the Nomad Battery Cable (read our review here), and took notice of Nomad’s product packaging. There was something about the thick cardboard and fabric pull tab that said, there is a quality product inside. That same feeling holds true for the Nomad Shell Cordovan Strap for Apple Watch. The box is a similar thick cardboard with a fabric pull on the side which opens a flap on the right side and then opens further like a book to reveal the Nomad Shell Cordovan Strap for Apple Watch. Before you think we are getting too excited about a box, we want to be clear that the Nomad Shell Cordovan Strap for Apple Watch inside is really the star of the show. The strap is one of the thicker straps we have reviewed and is nicely accented with black adapters that fit perfectly into your Apple watch. The buckle hardware is also heavy duty and there are seven holes in the strap to allow adjustment for just about any size wrist. The stitching within the band is well done with no loose threads or dropped stitches. While the front side of the strap is a rich solid black, the back side is a more natural leather color. The back side of the strap is stamped with the Nomad name which is also stamped into the bottom edge of the buckle. The leather for the strap is provided by the Horween Leather Company of Chicago, Illinois and there name is also stamped into the leather on the back side of the band. “Horween Leather Company was founded in 1905. For more than 100 years and five generations our goal has been to make the world’s best leather. Making the best means doing lots of little things right. It means never mistaking fastest or cheapest with the best. It means always using formulas that do not cut corners, and choosing components strictly for their quality. If we had to describe the Nomad Shell Cordovan Strap in a single word, it would be beautiful. The Nomad band is listed for the 42mm and 44mm Apple Watch. The black metal adapters fit into our Space Gray Series 3 Apple Watch perfectly with a secure fit. Not surprisingly, when we first tried on the Nomad Shell Cordovan Strap, it was stiff and hard to get a snug fit. By the end of the first day of wear, we could tell that the band was starting to shape itself to the contour of our wrist and after several days of wear, was just as comfortable as any other watch band we have used. The seven slots on the band gave us plenty of sizing options but like the band itself, we needed a couple of days of wear for the holes to stretch a little to make putting it on a little easier. As we have said before, one of our favorite features of the Apple watch is the ability to change its look by merely changing the watch band. With the Nomad Shell Cordovan Strap for Apple Watch, you can just as easily feel comfortable wearing it for an afternoon walk in the park as you would to a formal Saturday night diner. But like any fine leather accessory, you probably want to avoid getting it wet. The Nomad Shell Cordovan Strap for Apple Watch is one of the nicest Apple Watch bands we have reviewed to date. It is made from superior quality materials and has the look and feel of fine leather. While the first few wearing’s may not be as comfortable as you would like, give it some time to conform to your wrist and it will become as light and comfortable as any other watch band you have. The Nomad Shell Cordovan Strap for Apple Watch is not an inexpensive Apple Watch accessory. With an MSRP of $149.95 it is a significant investment. It is also currently only available in black and only for the larger 42mm and 44mm Apple Watch. But whether you have a regular Apple Watch or the luxury Apple Watch HERMĒS edition, the Nomad Shell Cordovan Strap for Apple Watch will certainly make your Apple Watch look like a million bucks. 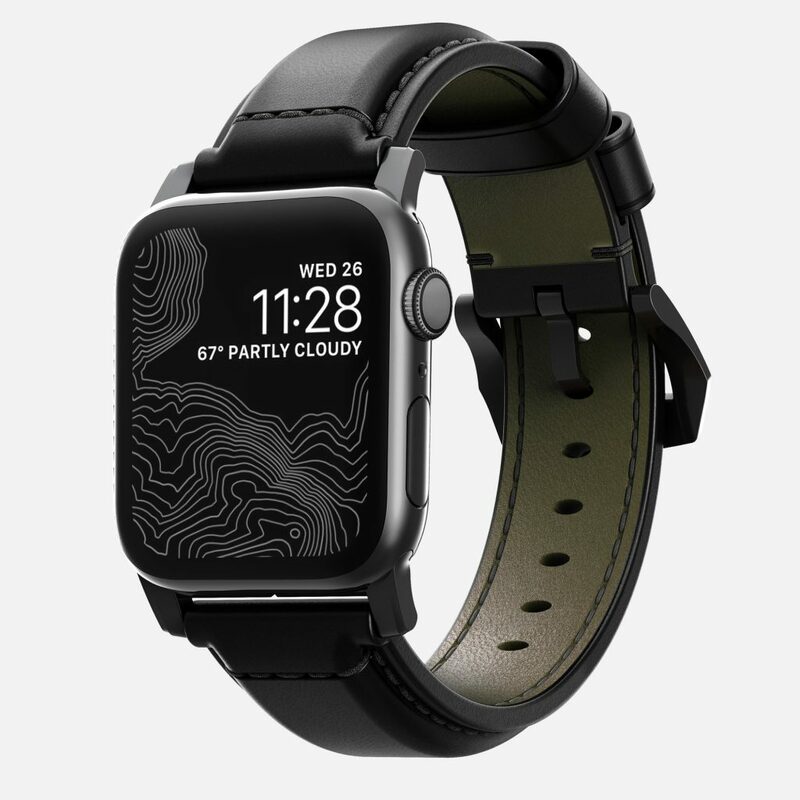 The Nomad Shell Cordovan Strap for Apple Watch is available on the Nomad website, here. We would like to thank our friends at Nomad for providing the Nomad Shell Cordovan Strap for Apple Watch for our review. What is your favorite style of Apple Watch band? 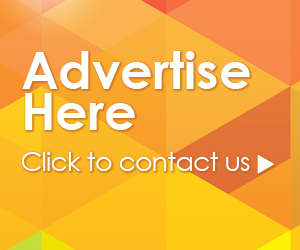 Why not join the conversation and add your comments below.